The family behind the National Enquirer is having its own tabloid-worthy drama play out in Palm Beach Circuit Court. In the latest round, Paul Pope, who’s traded at least six lawsuits with his mother, Lois, persuaded the court to modify an injunction that forced him to surrender his guns and ammunition amid allegations he stalked and threatened his mother. The Popes are the son and widow of National Enquirer founder Generoso Pope Jr., who lived in a plush waterfront estate in Manalapan and created a will and trust requiring his heirs to sell the company after his death in 1988. The mother and son have sued each other since then in an ugly dispute involving criminal allegations and probate litigation stemming from the $412 million sale of the Lantana-based tabloid. The sale yielded about $200 million plus a marital trust for the widow and $20 million each for four adult children, according to reports. But Paul Pope was soon battling his mother, who said he quickly spent his inheritance. She sued him for failing to repay a $340,000 promissory note; he fired back with claims she mismanaged the marital trust and failed to make good on promises to give him millions more from the estate. It’s also riddled with sensational claims and allegations. On Thursday, Paul Pope defeated his mother’s injunction issued in 2013 indefinitely barring him from owning or using guns and ammunition by telling the court he needed weapons to protect his family. He said he feared for his children’s safety after a third party took out a kidnapping insurance policy on them. His attorney wouldn’t say who purchased the policy, but court documents indicate it was Lois Pope. It’s unclear who was conducting the investigation or how Paul Pope knew his children had been insured against kidnapping. His lawyer said a “family member” told him. Palm Beach Circuit Judge Reginald Corlew modified the 2013 protection order against stalking after Paul Pope raised the constitutional challenge. “I’m thrilled the court realized that under the Second Amendment, I have a constitutional right to bear arms to protect myself and my family just like any other American citizen,” Pope said in a statement. The weapons ban followed his 2013 arrest for allegedly stalking his mother, who claimed his decades-long harassment and financial demands caused her to fear for her safety to the point she contemplated wearing a bulletproof vest to protect against her son or hired assassins. 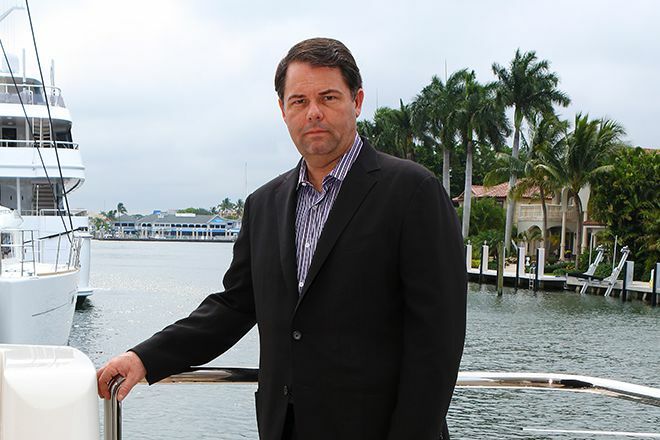 Her attorney, Gregor Schwinghammer Jr., a shareholder in Gunster’s West Palm Beach office, declined comment. Prosecutors dropped the stalking charge after Paul Pope agreed to the injunction that would keep him away from his 82-year-old mother for two years. Pope’s motion to modify the injunction indicated he complied with the terms.